Blog Home | Backyard Chickens | Chicken DIY | DIY Chicken Coop 3.0? I am possibly in the process of designing my third DIY chicken coop. I guess it’s a little odd; after all, I could just buy one of the amazing coops that MPC sells—but that would be too easy for the likes of me! 😉 I’m just a DIY person at heart. It’s not even about cost, because although you’d think DIY would be less expensive than purchasing a coop, generally my creations cost more than a pre-built or kit coop in the end, and they certainly take more time. But I love a DIY chicken coop. The benefit is that with my creations I get to customize for exactly what I need, and can even combine and test out ideas from lots of different coop designs. DIY chicken coop 1.0—notice also the DIY feeder and DIY waterer! My first coop was a converted “child’s playhouse” chicken tractor. We used it for a little over a year and it met our needs at that time. We never had predator issues, plus it was simple and pretty easy to construct. The problem was that my design didn’t turn out to be long lasting. For predator protection, the playhouse was completely enclosed in a cage of welded wire. That seemed straightforward enough. Because the house was lightweight we would just pull this cage to move it. Unfortunately, after moving this first DIY chicken coop many, many times the welds on the cage started to deteriorate, making it more and more unstable, and potentially less secure. The other problem was its small size: although I did temporarily keep five chickens in it, I eventually concluded that it only comfortably fits three. I wanted more than just three chickens! 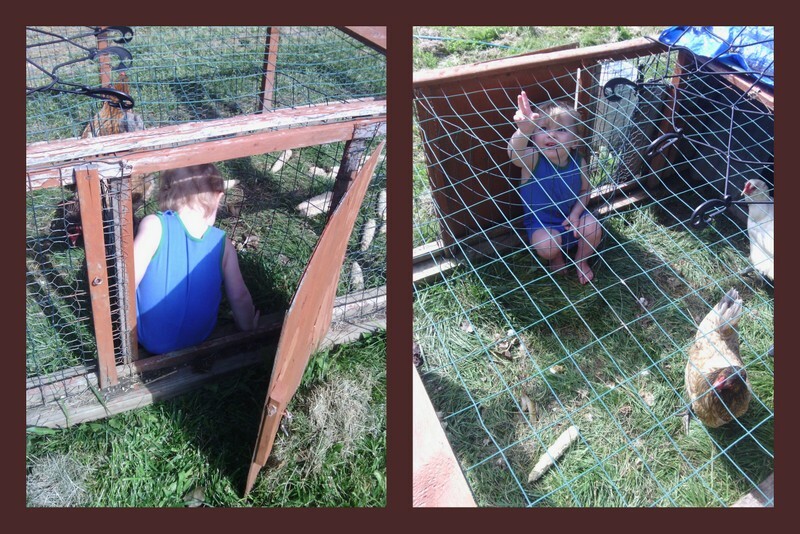 The “playhouse” DIY chicken coop 1.0 was a great starter coop: it got me hooked on chicken keeping and wanting more! Our second DIY chicken coop—Coop 2.0!—was a more traditional design and we have been using it almost three years. When I was designing it, I tried to take stock of what worked and what didn’t about our first coop. I tried to decide what I wanted, what I needed, and how I could make improvements to the not-sturdy-in-the-long-term Chicken Coop 1.0. I decided that still wanted a tractor that I could move, so I designed the whole thing to be built on 2×6 treated wood skids, thinking it would be more sturdy while moving. I also framed in the run so it was more stable and didn’t rely solely on welds. Both of those tweaks really increased the weight, so unfortunately, my over-engineering made this second coop too heavy to move easily. Now, it doesn’t get moved as often it should. DIY chicken coop 2.0 used to have a wire door on the side to access the waterer, but last year, we found out that wire door was a weak point when raccoons wrenched that lightweight door open and killed all but one of our chickens. It was awful. I replaced that door with a solid wood one with a latch (more weight). My husband also helped by catching three raccoons, so the issue with the door was ultimately solved… but then we had some issues with the roof leaking that we eventually addressed with a tarp. The problem of the weight remains, though. I still haven’t been able to add wheels to this design to make it more movable. I’ve been feeling that I need something better, and my DIY gears have been turning. The final straw came last night, when we had another attack. We suspect raccoons again. But now we’re not sure what the weak point is. The wire was intact, the door was latched, and there were no holes that had been dug underneath. Other than a few feathers in the run, nothing was out of place. The good part of this story is that I heard the commotion at 3am, and the hubby and I ran out—me in my nightgown and bare feet—and scared whatever it was away. Although two birds were injured there were no fatalities, thank goodness! The two possibilities we can think of are that the predator/s reached through the wire over the run, or perhaps they lifted the heavy egg door. 1. The top of the run is 2×3 welded wire to prevent attacks from flying predators. We didn’t think we needed the same level of protection that we used for the sides of the run, but maybe we do. 2. The egg door is pretty heavy from my over-engineered design, and we didn’t think it was a problem. We originally had a bungee to hold it down, but when the bungie broke, we didn’t see the need to replace it. Now we will. But for the future, I have to decide if I want to reinforce the old coop or start from scratch on a new DIY chicken coop. Coop 2.0 is still very solid but perhaps this is a good excuse for me to excercise my DIY chops again. My thinking right now is to repurpose an old 4 x 8 utility trailer, and use it as the base of the coop. With a hitch, I could move the new, wheeled coop with a trailer dolly. This might be just the excuse I need to develop my third DIY chicken coop idea past the “hmmm that could be cool” stage! 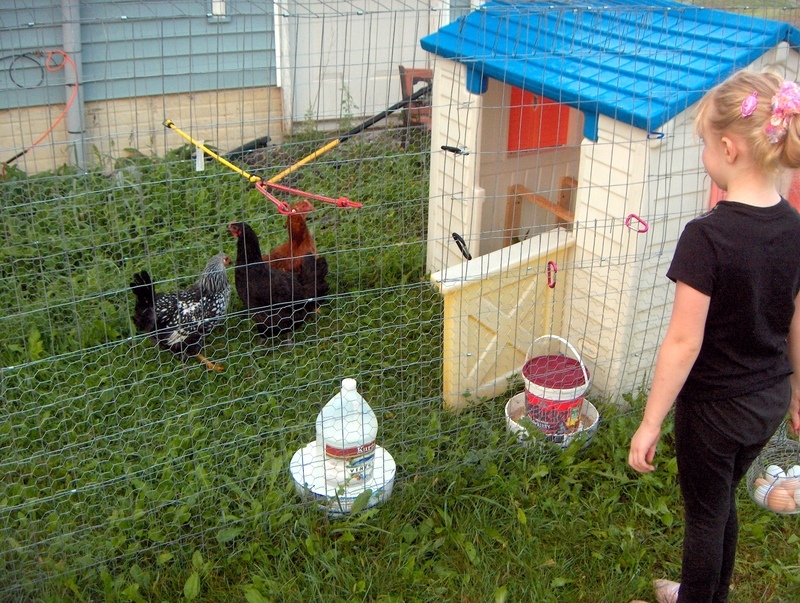 What do you think–should I start with DIY chicken coop 3.0, or find a DIY fix for the old coop? I would look at just redoing the wire. It looks like a great coop to me. Do you have the plans for it? I’ve been wanting to build another one and this would be perfect. You need to block 1 maybe 2 sides. I heard that a group of raccoons will scar the chickens to the corner or on a side then all they have to do is reach in and grab. Also not sure about your wire size but make sure its to small for the raccoon to reach in. I’m not sure where you are located, but Weasels apparently are a problem here in central NC, and they are small and could fit through the top wire. 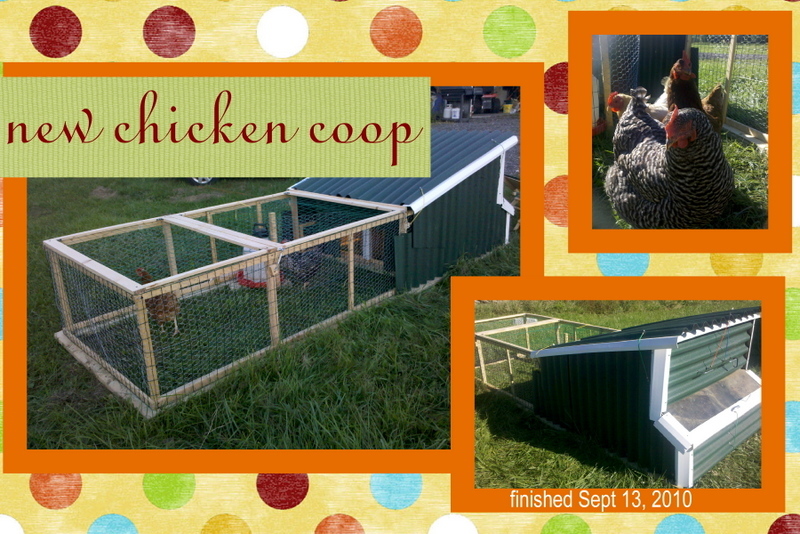 Love your mesh wire coop! I can see you have some very happy chickens! Amazing effort! My grandpa have this on his backyard but not exactly as the same on the picture. I will suggest this to him because it looks nice and this is the perfect time to make a little renovation for his chickens coop.